We reserve the right not to ship an item, in which case we will issue a full refund. We offer Free shipping over $69, otherwise it’s only $10.99 within Canada with regular service with Canada Post, (except some remote area listed below. For free shipping simply select "Free Shipping" as your shipping method when you're ready to checkout. To check your shipping, go to VIEW CART the pull down on the top right of the website. And where it says.."Estimate Shipping & Taxes", add your postal code and it will tell you what your shipping will be. 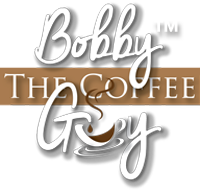 All orders received through Bobby the Coffee Guy store are processed and, if the stock is available, dispatched within 1 working day of receiving the order. Therefore, your products will usually be with you in just a few days. On rare occasions we do experience losses whilst in transit. Please allow 10 days for the package to arrive from the date of dispatch. If this time elapses and the goods do not arrive, please contact your local post office to check that no goods are being held. In the unlikely event that the package is not being held, please contact our Customer Services team who will be happy to assist in sending a replacement. Please be aware that if we are not contacted within 30 days, an insurance claim cannot be made and thus you will be unable to claim any loss from Bobby the Coffee Guy Store.